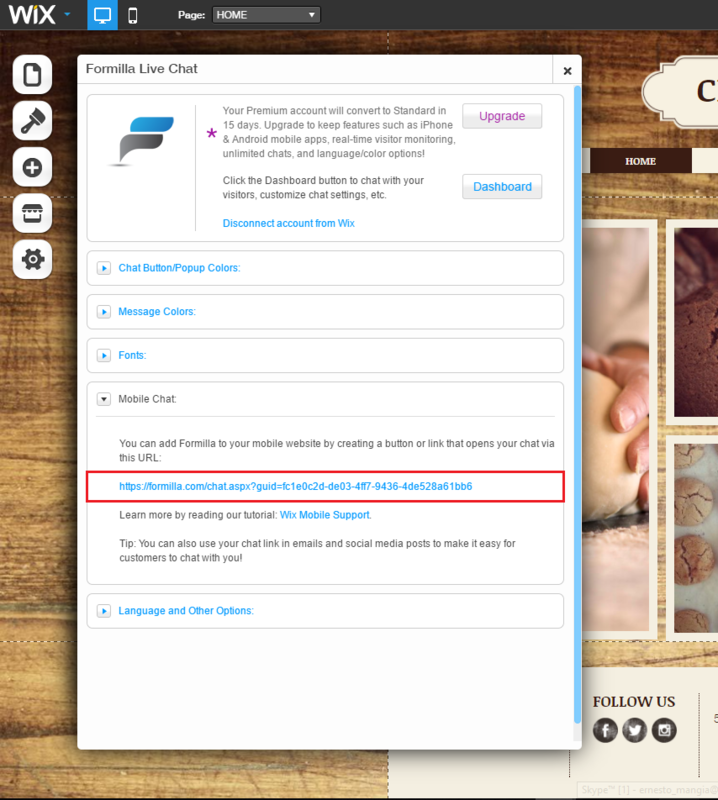 Wix customers can now install live chat to their mobile website with Formilla’s Direct Link feature. To do so, simply follow the steps below to add a live chat button or a URL link on your mobile website to open your Formilla live chat widget, or view the video tutorial below. 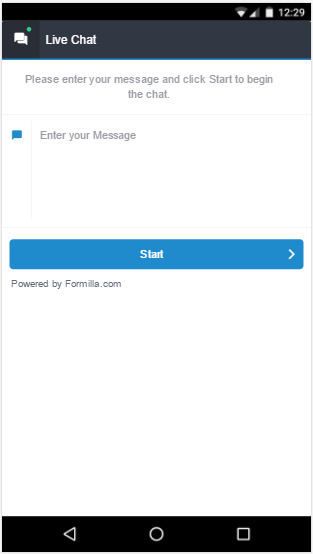 Once you add the Formilla app and sign up for a Formilla account, open the app settings window from your Wix Editor and expand the “Mobile Chat” accordion. Copy the Direct Link of your widget as shown below, as you’ll use it later in this tutorial. 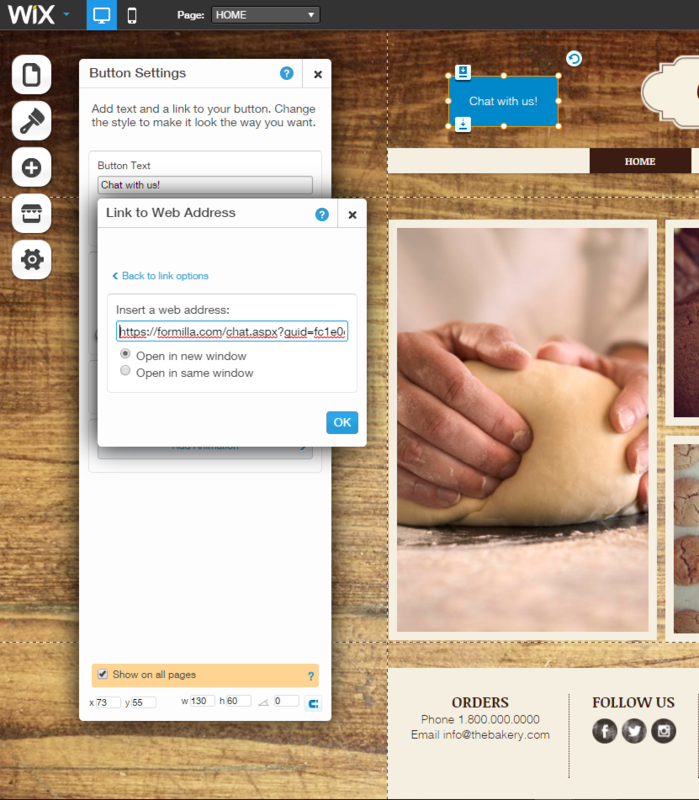 Add a new button to your website by clicking “+” -> Buttons & Menus -> Button. 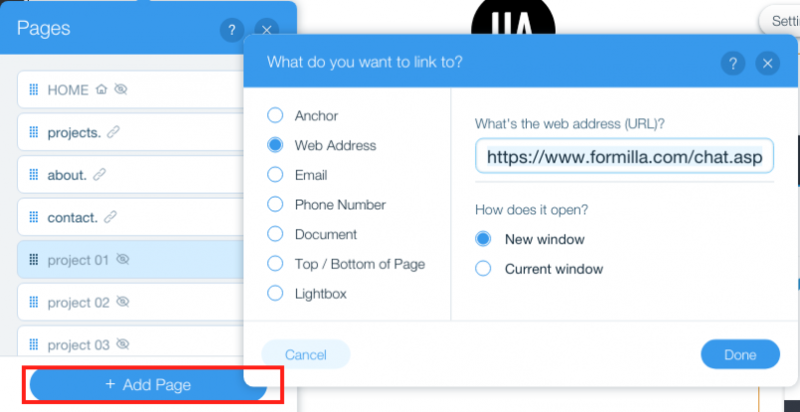 Link your button to a web address and paste the Direct Link you copied in Step 1. Be sure to choose “Open in new window” and click, “OK” when finished. 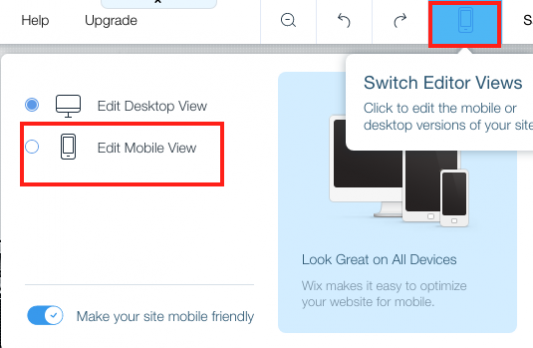 Since Wix doesn’t allow you to only create a button for mobile, if you’d like to hide the button on the desktop version of your website, you’ll want to drag the button on top of an image on your website, right click, select “arrange” and “send to back”. The button will be hidden behind the image on a desktop view, but will remain on the mobile view. To view a mobile version of your website from your desktop, click on the phone icon in the upper right hand corner, select, “edit mobile view”, and arrange your chat button anywhere you’d like. 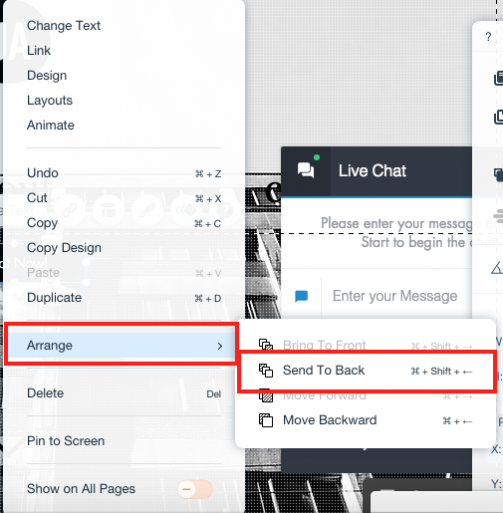 If you’d like to have the chat link in your navigation menu as well, you may do so by adding it from the Wix editor (desktop view). First click on Pages (1st icon on the left menu) -> Add -> Link -> Web address. Copy/paste the direct link (from step 1) in it and click, “OK”. 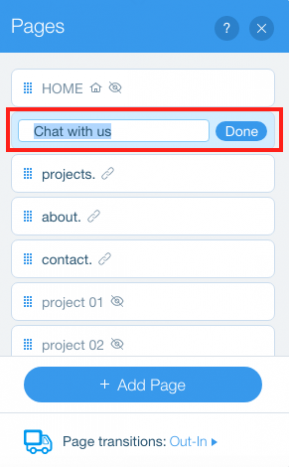 Then you can rename the text as “Chat with us” ,for example, and click, “Done.” You should see a new link in the website menu at the top. All done! Your website visitor should be able to open your chat by clicking the button or link that you’ve added. auto-display and the ability to request chats from the agent’s chat dashboard is not supported. visitors will not appear on the real-time monitoring dashboard unless they open the chat link. customizing the colors of the widget is not available at this time. this doesnt work as to create the button you have to have it showing on your desktop website. also there is no tracking for mobile users. If a user goes on my site via the mobile i have no way of seeing them and instigating a chat. If you run into any issues, feel free to email us at support@formilla.com.